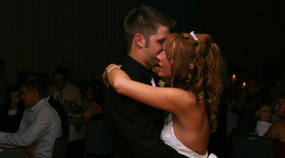 We are Chicago Land and Northwest Indiana’s most exclusive wedding and high school entertainment company. 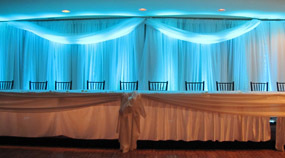 Specializing in elegant event lighting coupled with modern DJs for your event. If you are looking for a NW Indiana DJ for your event, there are plenty to choose from, but if you are looking for Entertainment, look no further. Here at Breakaway Entertainment, we take a fun and fresh approach to event entertainment, and with over 17 years of experience servicing the Northwest Indiana and Chicago Land areas, you can be confident that the DJ for your event will have the experience and talent to read your crowd, and rock your event! 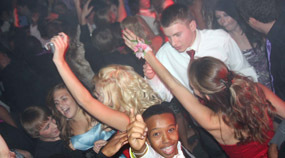 Our NW Indiana DJs are organized, professional and have the kind of personalities that have been best described as positively infectious. We specialize in wedding receptions, school dances, private parties, and corporate events, but are not limited to these alone. So if you are ready for a truly unique and extraordinary event experience, Breakaway from the norm! Contact our NW Indiana DJs Today!